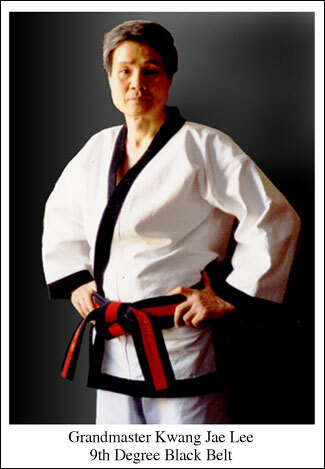 Grandmaster Kwang Jae Lee is a 9th Degree Black Belt from Korea. He is one of the highest ranking masters of the World Tae Kwon Do Federation. He has had more than 40 years teaching experience in the martial arts and has taught in many schools throughout the world. In 1981, Master Lee founded the New Jersey State Tae Kwon Do Association and was elected its first president by his peers. In 1986, Master Lee was elected president of the New Jersey Martial Arts Federation. Master Lee is highly recognized and respected among all. 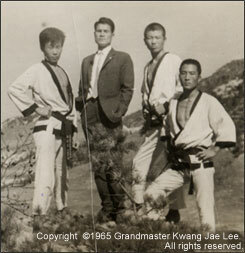 Grandmaster Lee opened his first two Tae Kwon Do schools beginning in 1965. First, in the Sang Do Dong district and then in the Noryang Jin district of Seoul, Korea he began teaching his own students when he was a 5th Degree Black Belt. In 1971, Master Lee opened the first Tae Kwon Do school in the Bronx, NY's history - later to be run by Master Sang Soo "Tiger" Kim. Soon afterwards in 1972, he opened a school in Bergenfield, NJ during at which time he also instructed students in Staten Island, NY and at the Ridgewood, NJ YMCA. Master Lee opened a Tae Kwon Do school in Manhattan 23rd Street the following year where he continued to promote the Asian art and educate eager American students. He has performed martial arts demonstrations internationally including the world-renowned Madison Square Garden in New York. Grandmaster Lee's teachings have flourished throughout New York and New Jersey including Nanuet, Monsey, Bloomfield and now, in Mount Olive where the positive energy and warm environment is reminiscent of his first do-jang (school) in his native Korea. Many of his students have gone on to open their own schools and help others to learn the art of Tae Kwon Do. Most notably, Grandmaster Lee's techinques have been published as featured definitions in The Martial Arts Encyclopedia by Larry Winderbaum (1977).